Here you can enable "Audit & Report" and "System Log". When this option is checked on, Wing FTP Server will capture all the transactions into a database, then you can analyze it and generate reports in real time. 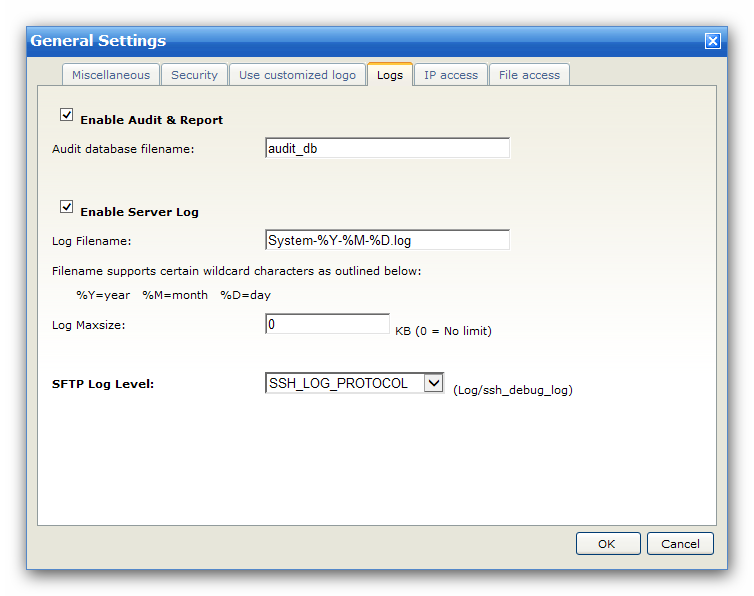 The log file must be given a name before information can be saved to a file. Your system log file will be put in the directory "Log\System" by default. The log filename supports certain wildcard characters as outlined below.